Looking for paintball parks and arenas? Interest in paintball is growing by leaps and bounds. Each year thousands of new players catch the bug and scourer the internet looking for paintball parks to play in. At Action Packed Paintball Games we have 8 paintball fields. Each one offers a unique theme and an exciting experience. They are the City of Tombstone, Firebase Alpha, Speedball, Civil War, The Jungle, Badlandz and Woodsball Fields. Each one immerses the players into a unique themed environment and challenges them to shoot their way out. It’s an awesome way to test your skills against those of your friends. You don’t have to be an expert to enjoy playing paintball here at Action Packed Paintball Games. All it takes is an interest in having fun and the ability to point the paintball gun and pull the trigger. Even novices can have a great time. You don’t have to bring anything but the desire to have a great time. We have all the equipment you need, including protective masks, coveralls, battle vests, gloves, paintball makers and grenades. It’s a fabulous way to spend a few hours. Plus our prices are low and we’re open from dawn to dusk 7 days a week. 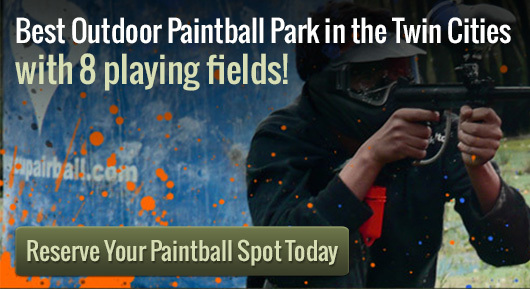 We are one of the finest paintball parks in the Minneapolis and Twin cities area. Our skilled, friendly experienced staff is always available to help you organize games. You can bring your own teams for private games or participate in walk-on games. Paintball can bring out skills you never knew you had. It can also help you sharpen the skills you do have. Playing paintball is easy. You simply have to shoot your opponent without getting shot yourself. Looking for the best paintball parks? Call us.